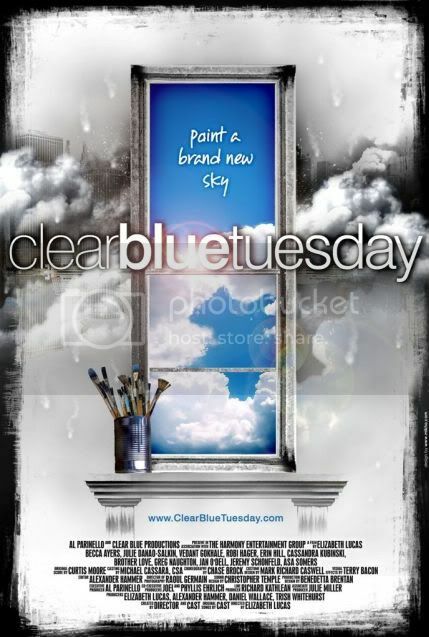 That Blue Jeans Guy : Clear Blue Tuesday finally debuts! Clear Blue Tuesday finally debuts! Note from David: Cassandra Kubinski's music has been featured several times on my show. I can't wait for Clear Blue Tuesday to make its way to Michigan! If you are near where this movie plays, give it a watch. Oh, and support an independent movie soundtrack by purchasing it on iTunes! The CLEAR BLUE TUESDAY album soundtrack is out! I looked at iTunes today, and I have to tell you, it was actually more exciting than even seeing CAMP NASHVILLE on there, because this whole movie was such an incredible joy to make, the the songs are KILLER, and the cast is amazing. Hope you'll go download it, post about it, blog about it, and share with the world- your support helps us get out there in a bigger way, and we both need and appreciate it! Hope you also plan to join us for the Soundtrack Release celebration tomorrow (Sunday). I'm performing a set, and some of the other cast members will be playing songs from the movie as well as their originals. Great chance to meet cast and crew!! This is the first movie I'm really in (excluding Finding Forrester, in which I have one line) that's running on the big screen. I'm so stoked and look forward to having you as a part of this!